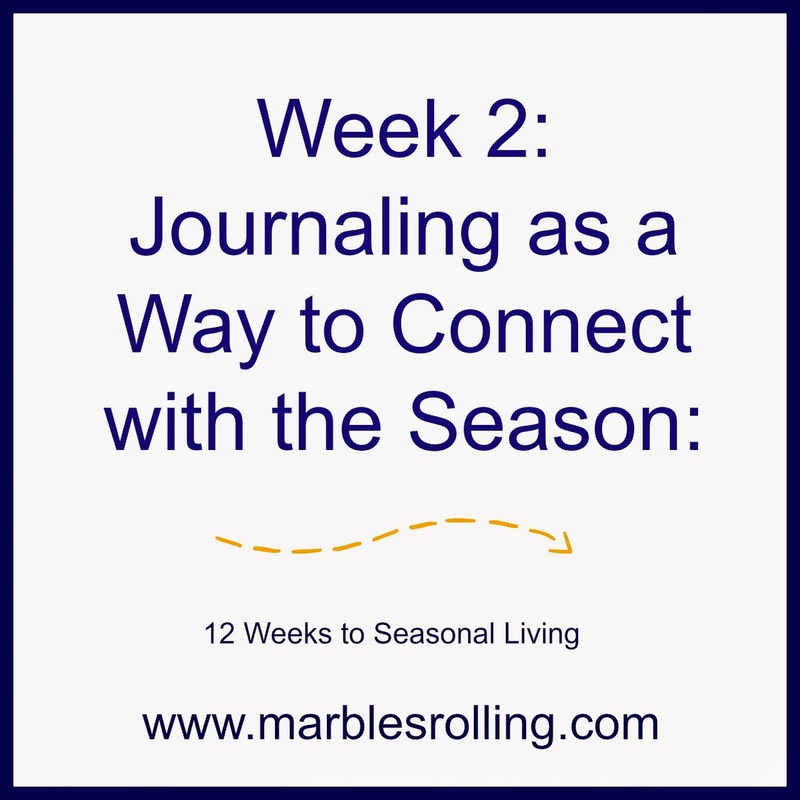 In Week 2 of The Homespun Seasonal Living Workbook Kathie suggests journaling as a way to connect with the seasons and the rhythms of our home. 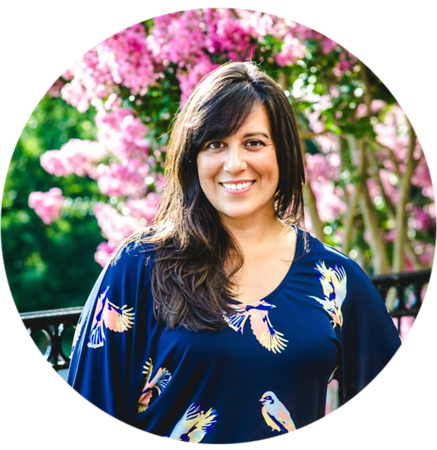 She challenges us to notice and record what nature is doing outside and what we are doing inside. When I am in nature I know that it feels really good but I don't usually stop to put it to words, or write it down. I have tried on occasion to capture a moment of the season as I remember it (Fall, Summer) but I haven’t before sat under nature's eve and taken notes in the moment. When I went to my favorite spot on the river to do this exercise I was excited to feel it all and try to capture it in my journal. The ground is saturated, soft and imprintable. Fall’s leaf litter is a blanket on the trails. Broken down by rain and foot traffic, cellulose frozen then unfrozen, disintegrating into slime and mud. The banks are bare of leaves; skeleton trees rise up twisting and leaning into the path of the low sun, their trunks and bark a thin winter coat. The water is slow, burdened by the cold but persisting downstream nonetheless. Blue, gray, and white hues cast over the water, the chilled earth. Birds. The only brave souls still singing, merry by instinct and making the most of lean times. The people pull at their collars, wrap their sweaters a little tighter at the waist. They pull their hands into their sleeves like turtles in shells. The wind certainly finds a way inside anyway. The untamed landscape gives me a sense of courage in the dead of Winter. An impulse to leave the coop—our dizzying shelter after short day after short days of light— and strip of clothes to run through the chilled air, so crisp and dry. It is almost irresistible because the outside is so lovely and bare at this time of year, but also for knowing it’s not possible now. That impossible cold. A Summer memory creeps into my mind and I recall the burning heat of sunshine, pink on my shoulders. 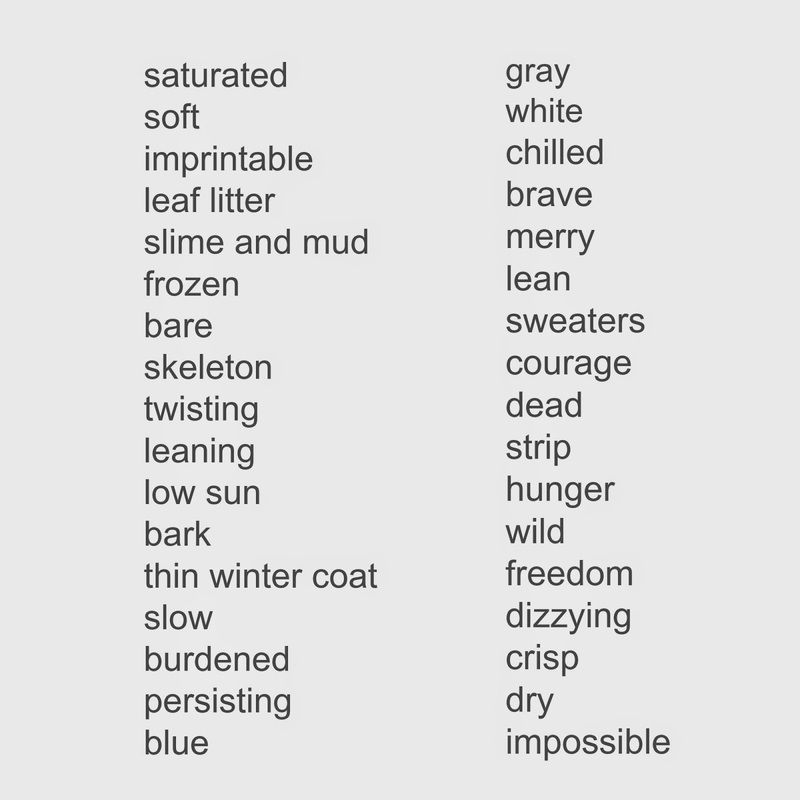 The listing of adjectives reminds me of a happy children's book that we read together regularly: The Cozy Book by Mary Ann Hoberman. It's a perfect book to read in the Wintertime. After "harvesting" icicles the boys took their microscope into the backyard to investigate ice crystals and other nature finds. 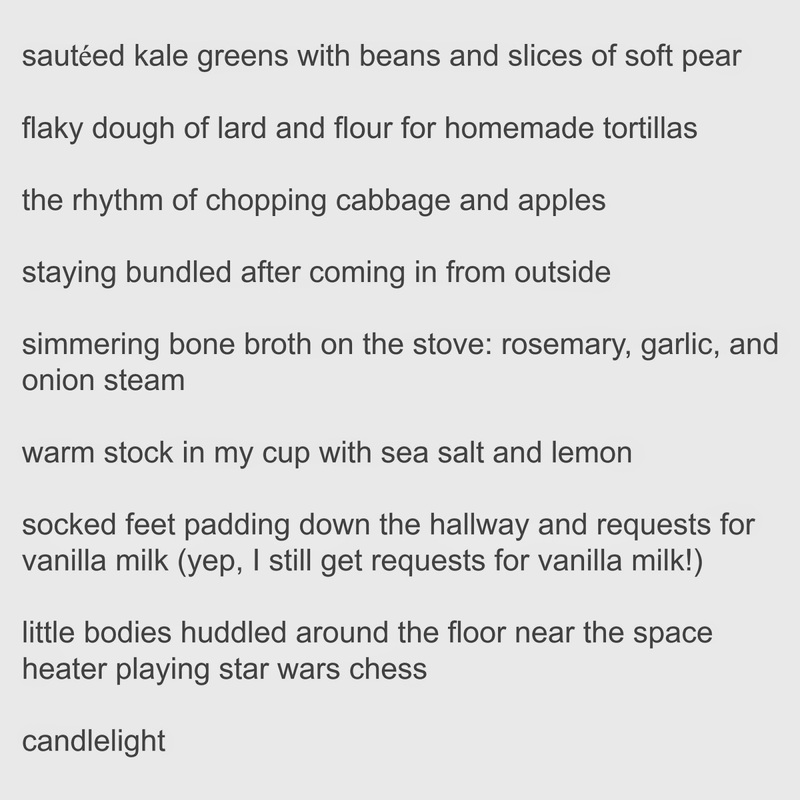 The recipe for Vanilla Milk can be found here!! I’ve been thinking a lot about how life will be in our new house and curious about the different ways I will be able to connect with the river on a regular basis. After this week's exercise I'm convinced that journaling will be one easy and satisfying way to do it. If you are doing your own version of 12 Weeks to Seasonal Living, what did you take away from last week's lesson on seasonal intentions? Please share in the comments. Let's discuss!